With such a range of waste management companies available, it can be difficult to tell them apart and understand what makes a company stand out from its competitors. And it’s not always clear what exactly you should be looking for in a waste disposal service. 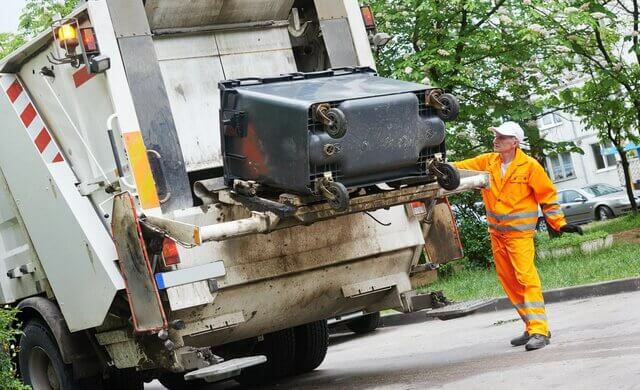 This guide explores these key points, and highlights some of the top providers, to help you decide which is the best commercial waste collection company for your business’ needs. We compiled this list of the best waste management companies by looking at key measurements, including customer support, location coverage, collection service type, and availability. Read the whole article for a complete overview of the best waste management companies, and you can click the links to find out more about each provider. Or, if you’re ready to compare quotes for commercial waste management right away, fill in the form at the top of the page. Collecting 250,000 bins a week and 2.1 million tonnes of waste a year, Biffa offers multiple waste disposal services. These include general and unplanned waste removal, as well as recycling services of both dry mixed and single stream items (for high quantities of one type of recyclable material, such as cardboard). Food waste disposal is also available – ideal if you’re a restaurant owner, for example. Biffa offers a range of bins, including both standard and large wheelie bins, as well as plastic bags and skip hire. More specialist waste holders (such as containers, drums, pipes and safes) are also available. Biffa provides services across a number of sectors, including construction, hospitality and retail, as well as the public sector. With UK-based call centres, plus the option to manage your account online, it’s quick and easy to get in touch about your account or services. Biffa is the best for coverage – its services are available in 95% of postcodes, and across 49 counties. 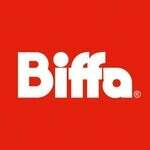 Plus, it has more than 100 depot locations, making Biffa ideal for multi-site collections. However, recycling collection isn’t available as a standalone service – you must have a regular waste collection service, too. From its base in Newcastle, CheaperWaste offers waste collection services across the nation, regardless of where your business is based. 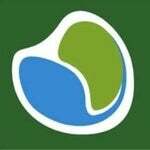 In addition to its waste collection services, CheaperWaste is also a waste broker. Offering account set-up via phone and email in minutes and bin delivery taking five-seven working days, your business waste service can be arranged quickly. 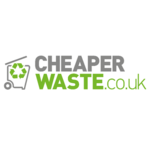 CheaperWaste can collect multiple types of waste, so you can use the same provider for your different types of commercial waste. For example, it can collect both general and recyclable waste, as well as clinical and hazardous waste. Glass waste collection is possible too, which is ideal if you run a bar. Skip hire is available too – essential for a construction company. Plus, bins can be collected every day, week, fortnight, or month (depending on the waste stream). Bins are available in the following sizes: 120 litres (l), 240l, 360l, 660l, and 1,100l. The option to have a 120l bin gives you a wider choice, as bins tend to only be available in bigger sizes. CheaperWaste is best for quick set-up, as it’s possible to organise via phone and email. Enviro Waste offers waste collection services across the capital from its east London base, so it’s ideal if you’re looking for commercial waste collection in London. It provides both commercial and construction waste services, with commercial collections including services for hotels, offices and warehouses. Skip hire services are also available. One-off collection services are measured by truck capacity, such as a ¼, ½, or full truck. Enviro Waste is best for eco-friendly waste disposal – the company aims to the company aims to recycle 92% of the waste it collects, and to plant a tree as a donation for each clearance it oversees. It’s already planted more than 4,300 trees in partnership with the Woodland Trust. Enviro Fund refers to the company’s charitable activities, which also include working with the British Heart Foundation and the Brixton Soup Kitchen, donating items from waste clearances. If you’re looking for waste management companies in Scotland and your business produces food and/or garden waste, Keenan Recycling could be ideal. 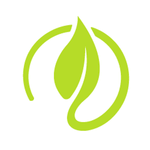 Established in 2001, Keenan Recycling offers chipping, composting, recycling, screening and shredding services, all specifically for food and garden waste. It operates services seven days a week across both urban and rural locations. Waste is recycled, and becomes either green energy or premium grade (BSI PAS100) compost. Keenan Recycling is best for waste collection in Scotland because it operates services specifically across Scotland (and north-eastern England, more recently). However, as Keenan Recycling a specialist service – it only operates in Scotland and north-eastern England, with a focus on food and garden waste – it’s not suitable for all businesses. Other types of waste collection are possible, although these are arranged through partner waste companies. 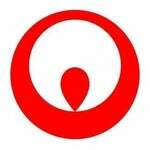 Veolia is a French company with international locations, including 595 waste processing facilities in the UK. It has won 64 service awards. Covering a variety of sectors – including transport, leisure and education – Veolia offers waste collection services for the disposal of general waste, as well as food and glass waste. As part of its service, your commercial waste needs will be audited to find the right waste solutions for your business. Veolia has a network of collection, recycling and treatment facilities across the country. It has a focus on recycling and green technology, having invested £1 bn+ between 2012-2018 into strategies to help its customers reduce their carbon footprints. Veolia is best for cafe waste collection, largely thanks to its coffee cup recycling service. This bespoke service offers a system of bins and processes to recycle disposable paper cups that isn’t widely available. However, as it’s such a big company, the nationwide services Veolia offers may not be ideal for small business owners who are looking for a waste collection provider with specific knowledge of their area or industry. From reading our guide to the best waste management companies, you’ve learned more about some of the top providers out there, including what features makes a company stand out, and how to choose the best provider for your business. Next, read our article on waste disposal prices to get an understanding of how much to budget for commercial waste collection. Alternatively, you can complete the form at the top of the page to compare quotes for commercial waste management now. Here we outline and answer some of the most pressing concerns that you may have as a small business owner trying to choose between waste disposal companies. 1. Commercial waste collection in London: What do you need to know? If the disposal team have to drive through the centre of London, is the congestion charge included in the price, or is it charged as extra? Assess this when working out costs. Does the potential provider collect waste in the specific post code(s) your business is located in? Check to ensure your area is covered. Is the service only available in London, or does the company cover other parts of the UK too? This is useful to know if you have plans for expansion, or multiple sites. Area covered – does your business require a national or local service? Collection frequency – do you need a one-off, or ongoing collection? Specialist service – are you disposing of specialist items, such as hazardous or builders waste? Disposal methods – will your commercial waste go to landfill, or can it be recycled?